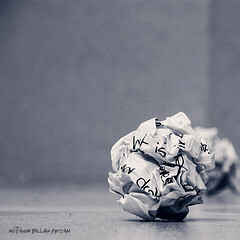 Lost for Words on your Email Newsletter or Blog? One of the biggest challenges of any content marketing strategy for B2B businesses is the need to regularly come up with new ideas which will engage both existing and potential clients. Whether you’re compiling your latest email newsletter or thinking up new posts for your business’ blog, here are a few suggestions and tips for topic choices which may help. Current events and news related topics – Keep a close eye on new developments relevant to your sector, in the mainstream press, trade journals and other sources. Google’s ‘news’ search feature can be particularly useful for finding stories that you can report on in your blog or eNewsletters. Commentary on key issues – Articles which are similar to newsy posts, but with an emphasis on providing your own unique take on important developments and trends. Such articles can be instrumental in emerging as a ‘thought leader’. ‘How to’ posts – These articles should do exactly what they say on the tin – present a common issue or task relevant to the client, and then demonstrate in plain language how they can do it, do it better or avoid doing it. List posts – These are an effective way of capturing the attention of busy buyers and executives, as they can convey useful or interesting information succinctly and intuitively. For example: ‘Five ways to...’, ‘Six tips for...’ or ‘Ten important...’. Statistic or research-driven pieces – If you can present your audience with information they previously didn’t know, and do so in an easy to understand way, they will thank you. If you are able to present your own original research, even better. Laypersons’ guides – Again, blog posts or eNewsletter articles that take difficult information and explain it intuitively are frequently popular. Often when people are searching the Internet they’re trying to find something specific, so aim to tackle a particular niche topic. Case studies – For these, you might work with one of your clients to demonstrate the difference that your products or service has made to their business. It’s important to use plenty of actual functional examples rather than gushing generic praise. FAQ – If you get a lot of questions coming in from clients regarding your services or common issues relevant to your sector, consider presenting a selection of these in your blog or email newsletter periodically, along with your own carefully considered answers, or responses from your technical team. Infographics – These generally require a little computer design knowledge, but can convey a lot of information in a highly visual way. Infographics are essentially a pictorial or diagrammatic representation of interesting or illuminating information following a specific theme. Interviews with industry figures – These can be great occasional pieces, which can shed light on the thoughts and views of key players in the sector. If you’re struggling to get an interview with the Bill Gates’ and Rupert Murdochs of the world, don’t forget that your own CEO, senior management and even your clients are all ‘industry figures’ too. Want newsletter ideas that will help? Download the eBook below.